All supplies provided! 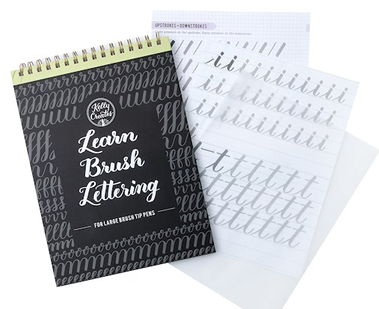 You’ll receive a marker set and lettering workbook filled with tracing sheets to get the most out of each page of exercises, valued at $24! Most of us beginning our lettering journeys wonder where to start and how to progress. We’ll jump-start your skills & guide you as you begin your journey! In a world that is rush-rush-rush, hand lettering will slow down your pace, help you focus on the present, and live in the moment.